Hello good Morning people. Sling bag or clutch bag? Which style did you prefer?Both? 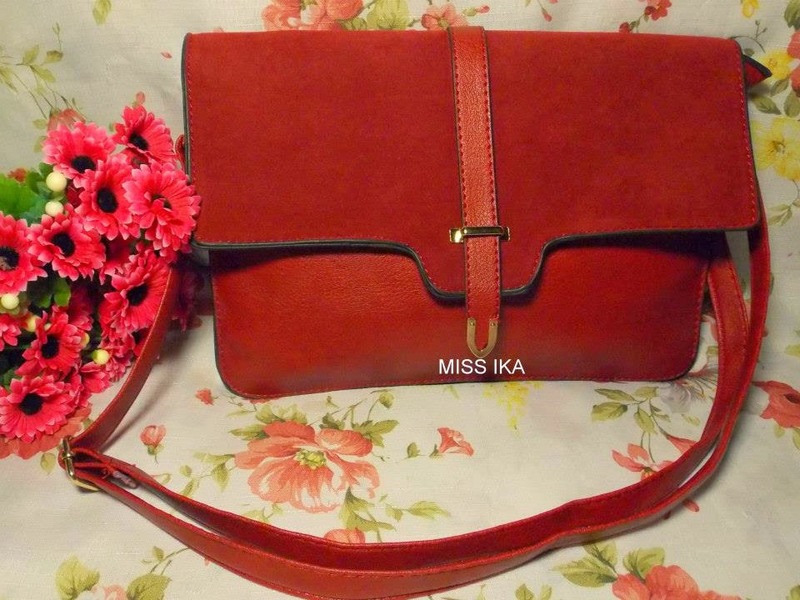 I would like to introduce you to 2 in 1 bag… It could be your sling bag or clutch bag in RED. Too attractive! But for me I love to use it as a clutch bag. Hello people <3 and should I said Welcome to Selangor? Why? Today is my second day !!! Got new job so I will be here... hopefully long enough. 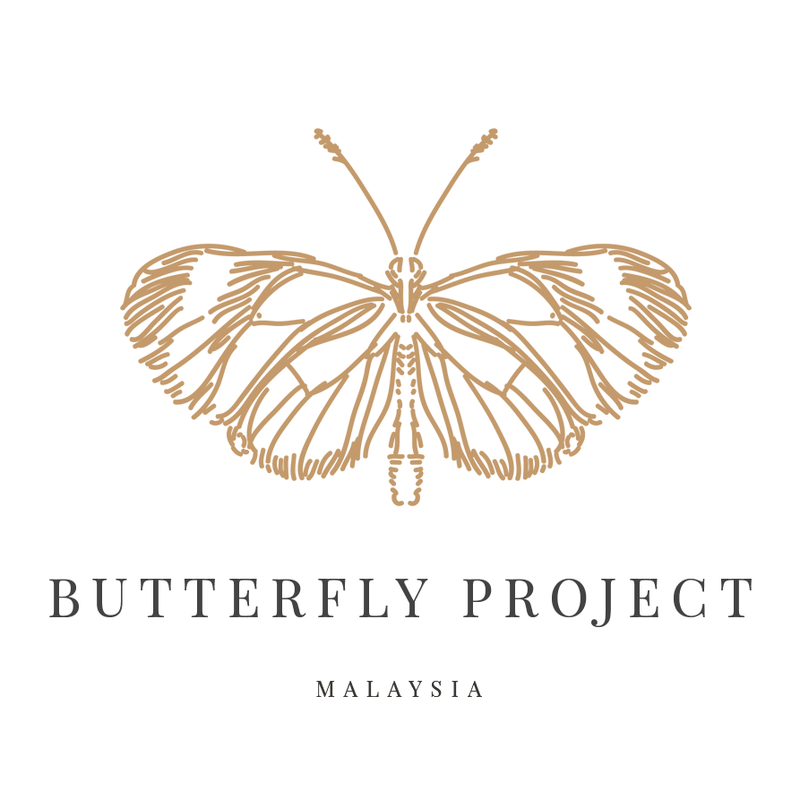 Any Blogger event Selangor or KL area? Yes I'm available now!! 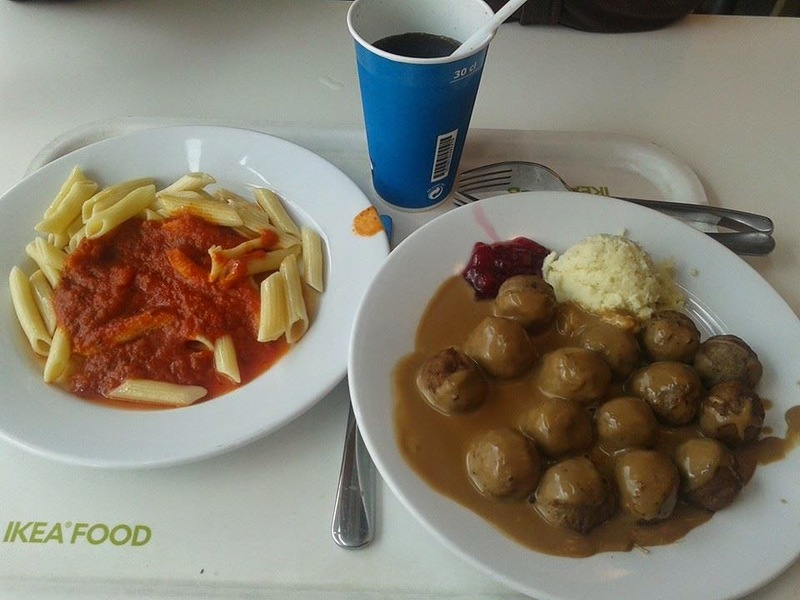 Yesterday, my friends brought me here (IKEA) to have a lunch. To taste the famous Meatballs! 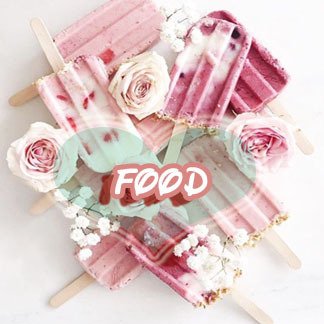 Craving for it since last years huhuhu. The meatballs are beef meat. There are a lot of people, I need to wait almost 30 minutes before my turn! It's ok >_<. The process is like this. You take your own tray, order your foods. They prepare your food instantly actually all the foods were cooked already, they just scoop it up. For the drink, there are providing you a mug for hot drink or a paper cup for soft drink. Grab either one, and then you pay first the empty cup/mug at the cashier along with your food. After that, head over to drink section. Choose your favourite drink! Opps forget to tell you. All drink can be refill with the mug and the paper cup that you purchase before this. Soft Drink RM2.12 .I especially like their concept of free refilling when you purchase their soft drinks or coffee/tea with the availability of the drink machines. Nowdays, L-Glutathione skin whitening is growing in popularity. 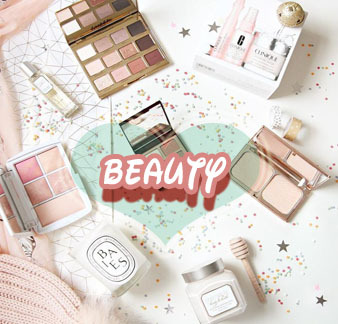 Among the many skin whitening products that are sold in the market these days, it can’t be denied that L- glutathione is important ingredient for whitening product. L-Glutathione helping people achieve the skin pigmentation they desire with no harmful side effects when taken in proper dosages. Did you know melanin is the pigment that gives our skin its color, produced by the activation of the enzyme Tyrosinase. L-Glutathione works by reversing melanin’s metabolism by turning dark pigmentations into light pigmentations. When your body is producing less melanin, your skin is more brighter. As levels of Glutathione in the human body declines with age, it is recommended to start taking L-Glutathione as early as 20 years old to keep skin youthful with glowing radiance. 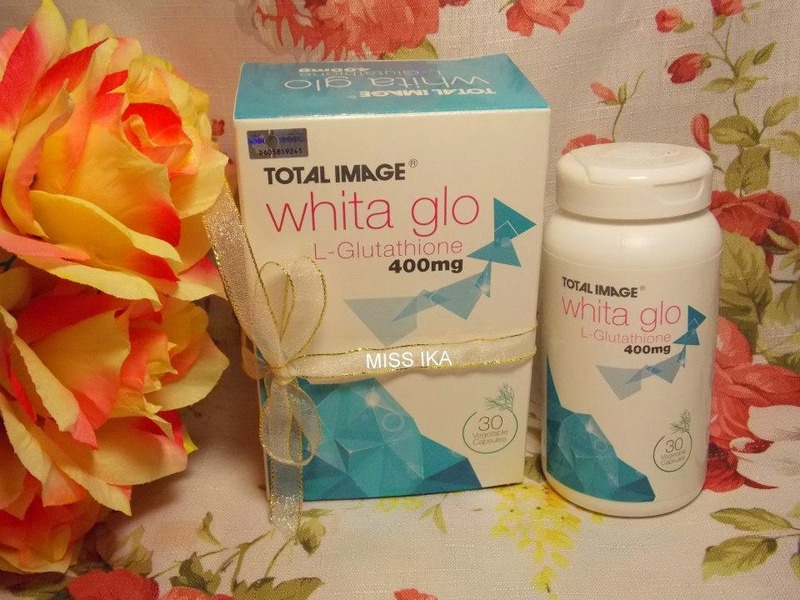 As you know there are alot of whitening product in market but I’m going to introduced you to Total Image Whita Glo L-Glutathione 400mg (Whita Glo). What so special about this product? Total Image Whita Glo L-Glutathione contains 400mg L-Glutathione per capsule which is the highest dosage in the market. As Glutathione consists of 3 proteins, low intake may not be able to be absorbed sufficiently by the body. A daily dosage of 400mg is the minimum required effective dosage to provide any benefits.I have tried Total Image Whita Glo L-Glutathione 400mg for two months and the results much better! Hello ladies <3. Having a long, thick and heavy hair that tends to get greasy and oily very quickly. 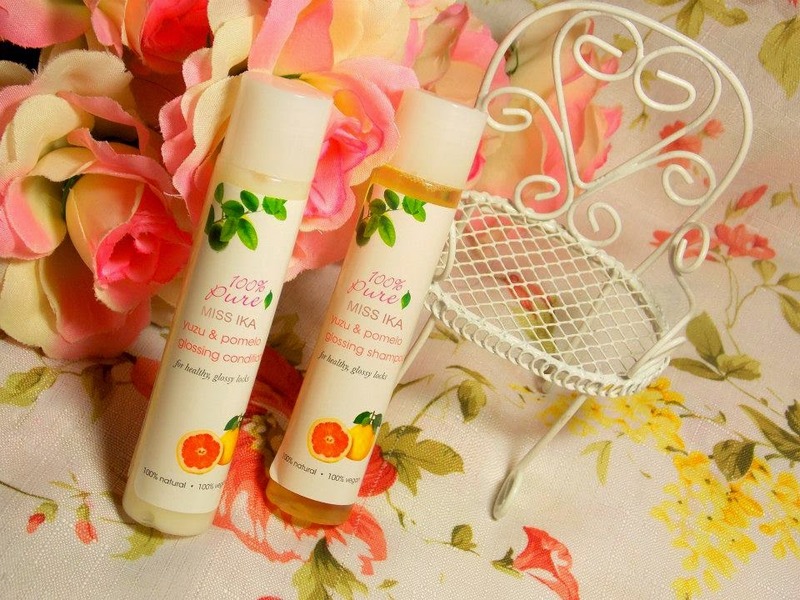 Using Yuzu & Pomelo Glossing Shampoo and conditional helps to nourish your hair and scalp while also balancing oil production. This shampoo was the first that I feel I can say glossed my hair, without giving it the greasy spray shine serum look, all without or chemicals. It has a really nice, light citrus scent, if you don't like citrus scents, no worries, the fragrance doesn't last longer and the smell is not at all overwhelming, but just light and clean! I like it a lot. I bought a laptop when semester 3 Diploma 2009 and now it already too old and unable to on. When I try to on, it cut off immediately. I need to try almost 30-40 times before the laptop successfully on but not to long. Using it almost 30 minutes, the laptop unexpectedly off. The problem is, all picture for product review is in the laptop. -_- I think it a time to change new laptop . Shopping for a laptop is a pretty daunting task. Most people have a general idea of what their laptop should look like and what they want in terms of features, but are often intimidated by the choices available. There are a wide variety of sizes, features and prices, which makes choosing the right laptop a challenge. That’s why I need to figure out my needs and my budget. Harapan Ika sebagai seorang blogger terhadap dunia blog. 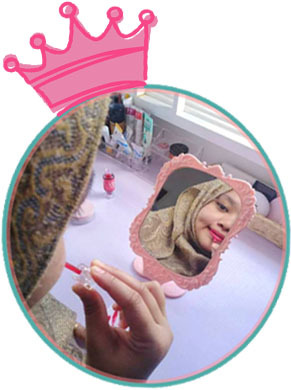 Harapan semoga dapat banyak free produk untuk review :P. Jika ada rakan-rakan blogger yang singgah jangan lupa untuk tinggalkan komen. Sekurang-kurngnya Ika tahu ada orang yang membaca penulisan Ika yang tak seberapa ini. The day has begun… get ready get set, wait a minutes, I need a cup of coffee!! Oh my I love coffee. Especially the aroma ermmmmm. 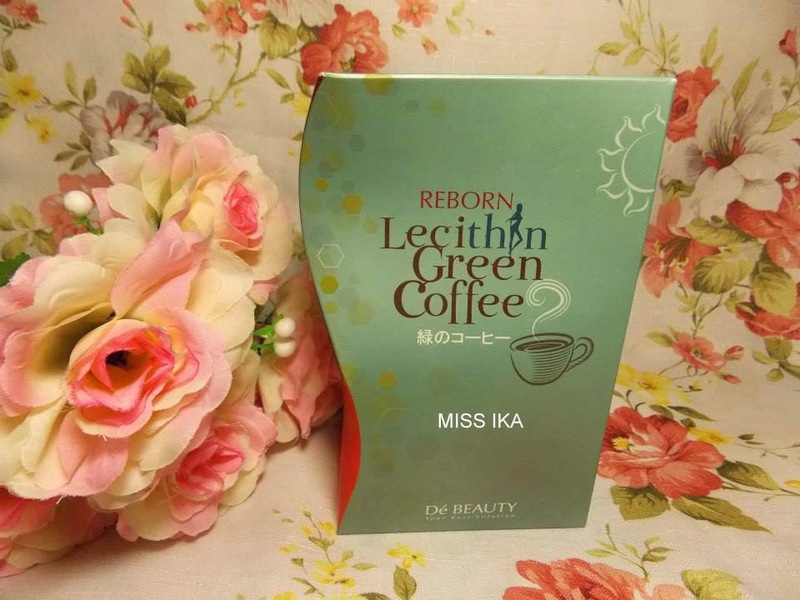 Did you know drink 1 sachets of Reborn Lecithin Green Coffee everyday, will cut your appetite towards food. Serious? Yup I’m serious. Drink Reborn Lecithin Green Coffee for your breakfast with 100 ml of hot water. This is the best slimming coffee because you don't need to worry about running to the toilet after drinking it. 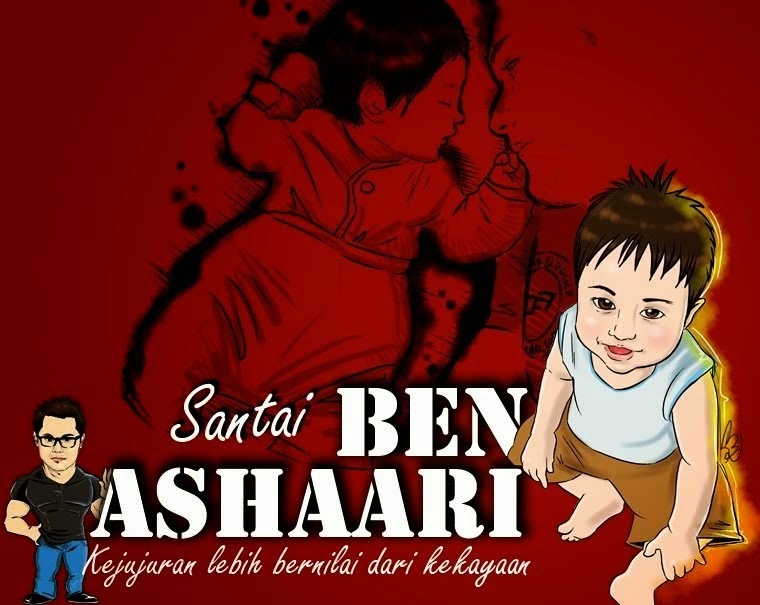 Assalamualaikum this is my first time to join Segment from Ben Ashaari. So let‘s start. 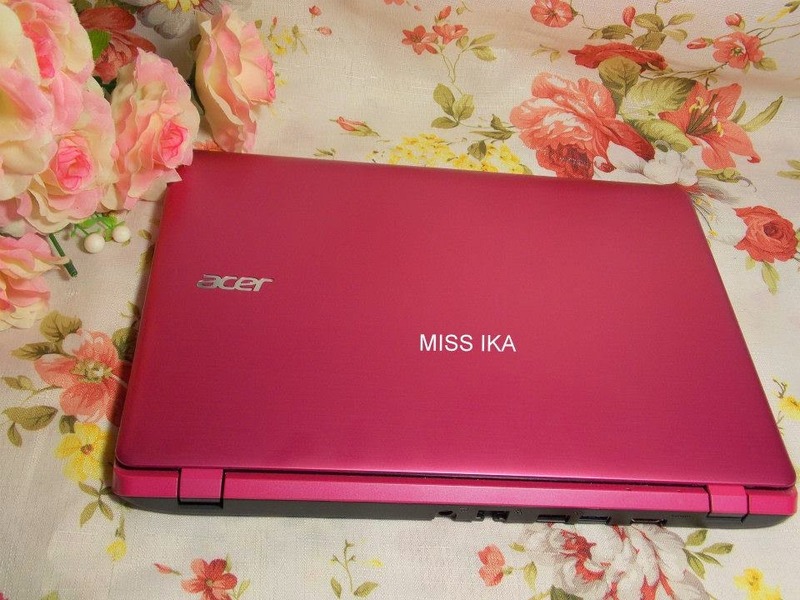 My name is Ika . I.K.A just a simple name. I’m 24 years old and currently working as CS. Not my dream job, but just a temporarily. I live in Penang. I love red color, but most of my stuff in Pink. Weird, right :P.
Hello peeps. A clutch bag quite trendy this day and it is definitely a must have for every woman’s collection. Clutch bags are meant to be carried in a person’s hand that considerably smaller than regular shoulder or handbags. 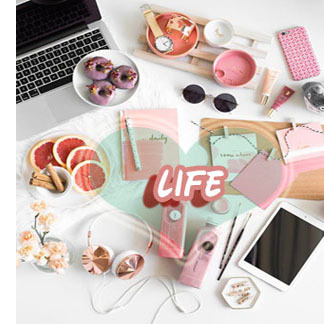 There are several different types and designs of clutch bags available that offer a great deal of versatility and convenience. 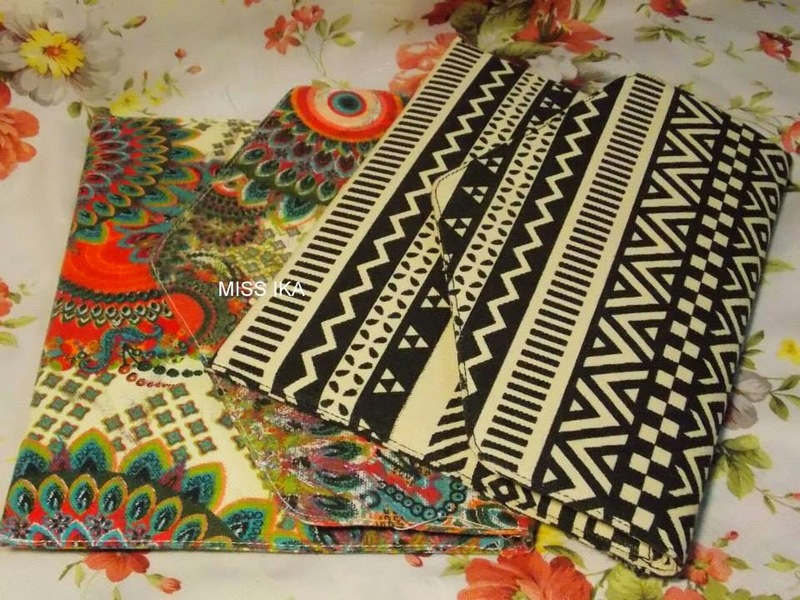 They can be short, long, flat, round and many more varied styles to choose from . Moreover it very easy to carry around and are extremely attractive, sentiment and pleasure. Shopping time <3. This is the second time I went to Sunway Pyramid hopefully this is not the last time :P. Hunting for shower gel. Look what I bought . My favorite shower gel I love products. Naturally, this brand call, I Love and this is where the story began. I Love is a bath, body and beauty brand that lovingly create the most gorgeous, deliciously scented products in the World. Using this shower gel remained me of my memories of all the things I loved, a combination of nostalgia, sentiment and pleasure.